When AV Stumpfl wanted to launch their upgraded ultra-high-performance server that delivers four streams of full 4K uncompressed content at 60hz plus media overlays, they needed bright and compact 4K projectors to show it off. 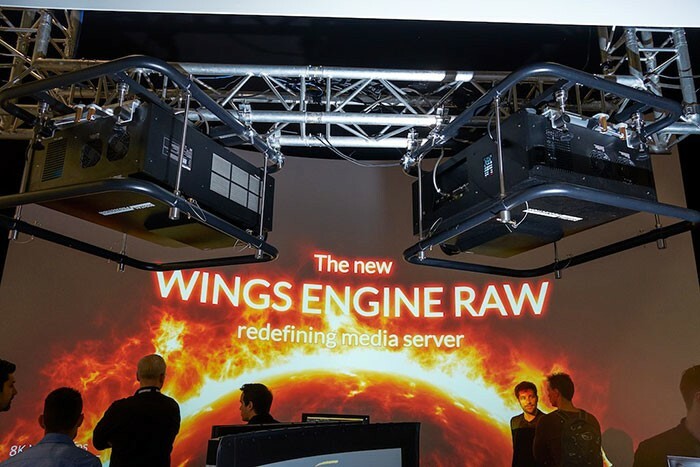 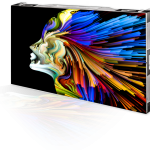 As the Wings Engine Raw server includes four DisplayPort 1.2 video interfaces, the INSIGHT 4K Quad was selected due to its ability to display this content over a single DisplayPort 1.2 cable. 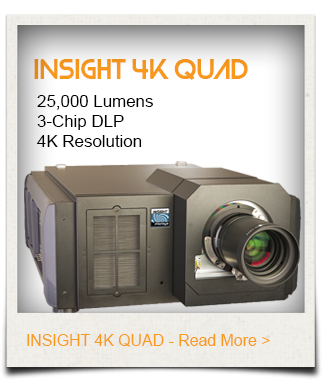 The projector also features true 4K resolution (4096 x 2160) ensuring no critical detail is lost on screen. 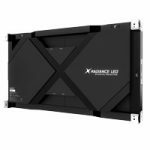 Boasting a stunning 25,000 ANSI lumens of brightness, the projector is able to counter the high ambient light conditions of a trade-show floor. 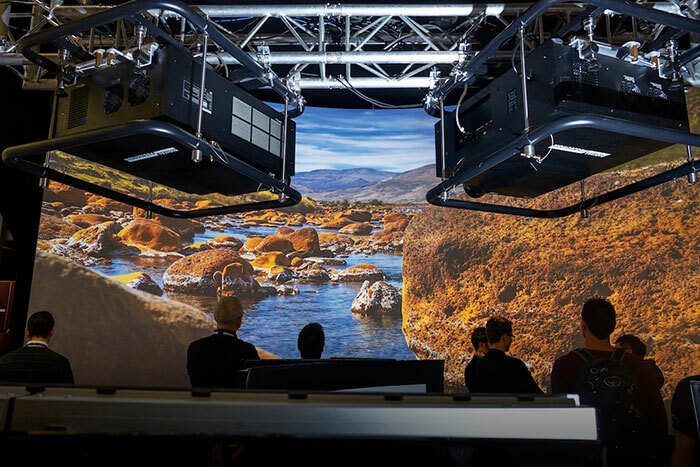 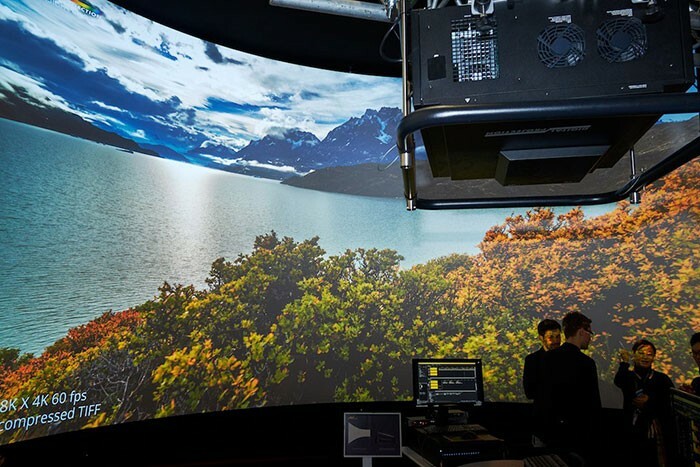 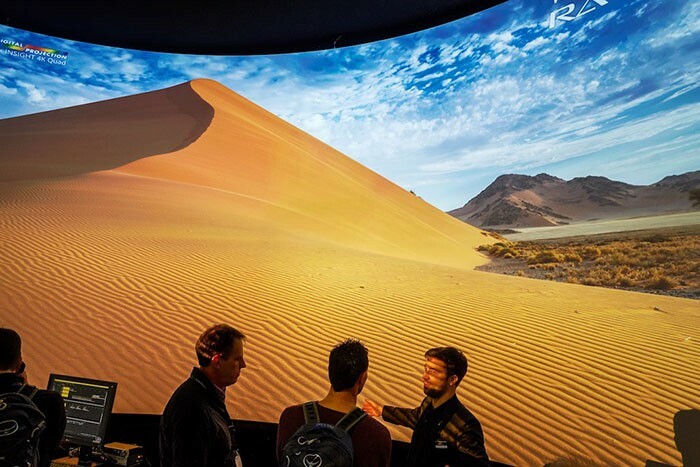 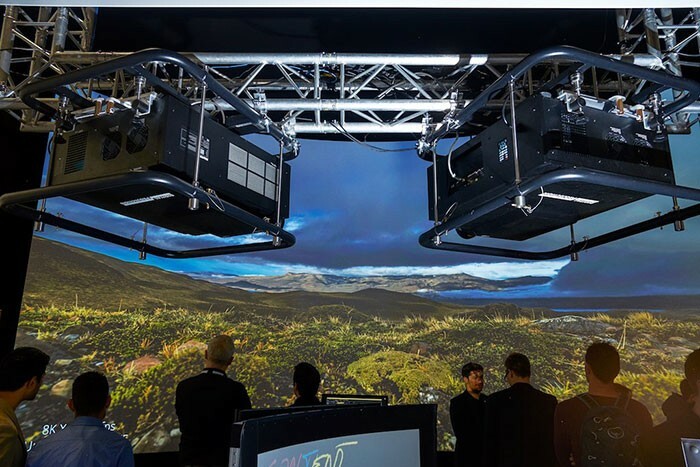 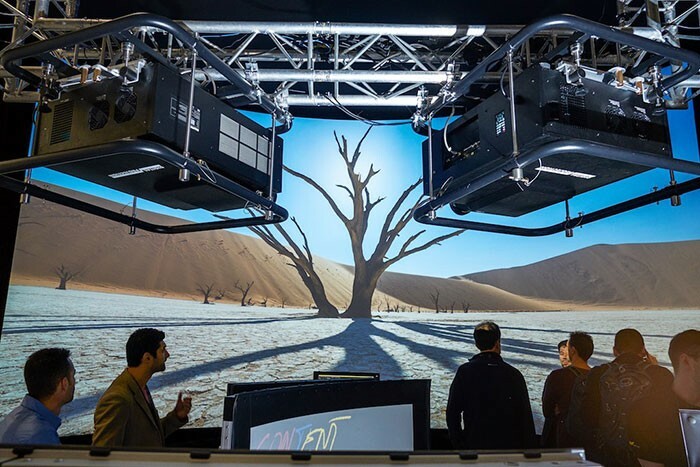 Digital Projection’s ColorMax technology also meant that the projectors can be colour matched to ensure that every pixel on the stunning 8K expanse was perfectly accurate. 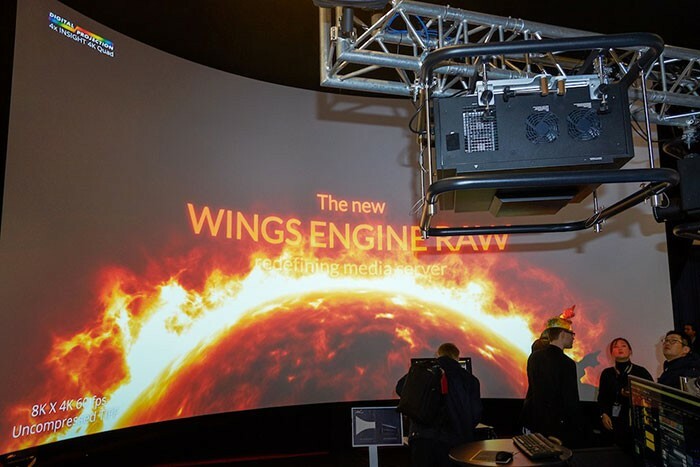 Each projectors functionality could also be controlled with the group controller software that allows full access to all the menu items when the projectors are rigged. 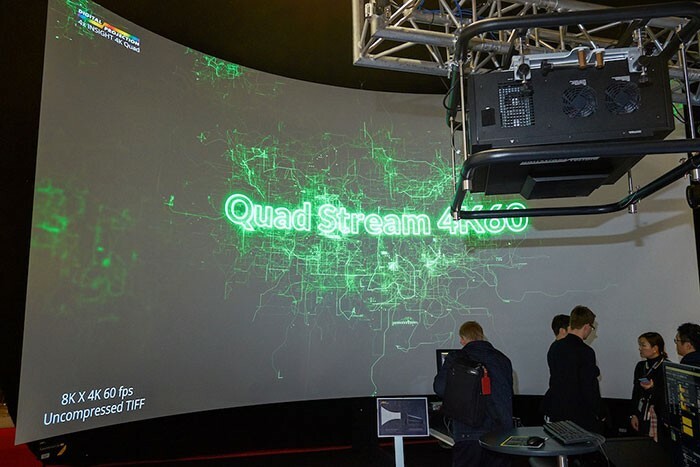 The system processed and delivered the video content at full 4:4:4 colour sampling showing the true capability of 4K projection with high frame rates.